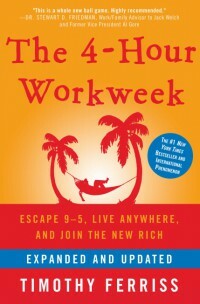 The 4-hour workweek gives you an idea, how to produce more and work less. Distress is bad, Eustress is Good. Eu-stress is a Greek word. In this, ‘Eu’ stand for health. New riches continuously put pressure on themselves. They used Eu-stress to keep progress in life. While poor people focus to eliminate stress. New riches work differently from the crowd. Because they believe in smart work rather than hard work. Instead of doing 9-5 job with no efficiency. New riches believe if I can do this work in less time. So, why I bother myself by holding this task. We are human. We work eight-hour a day to complete job projects. Sometimes, we took half day. So, we complete our work in less time. That is the point I want to explain. In short, To create an imaginary deadline that force you to do things faster. The formula that separate new riches from other folks. So, to make thing simple I am going to give an example. Suppose two chap A and chap B earn $8000 and $4000. What do you think? Who is rich in the above example, either Chap A or chap B. If you are choosing chap A. Then, you are choosing on the basis of absolute income criteria. Let’s dig a bit deeper. Relative income uses two variables: the dollar and the time (usually an hour). Chap A work 80 hours per week. So, he earns $100 per hour. While chap B work 10 hours per week and he earned $400 per hour. Now guess who is richer. Chap B earn 4 times more than chap A. Focus on Strength Instead of Weakness. Drag your mind to start focusing on strength. Take a piece of paper and write down the key strength that helps you to learn and grow. Start working on them. Make them stronger and stronger that help you to keep moving forward. Being Effective vs. Being Efficient. Effectiveness is a process of doing things that lead you towards your goal. It helps you to do your complex task of the day. While being efficient means keeping yourself busy throughout the day, without accomplishing your fundamental task. In short, Pareto state that 80% output depends on 20% work. Example: You spend 80% time with 20% friends. 80% result comes from 20% of the product and customer. Art of Letting Bad Things happens. Every time you grow, You will find a bunch of bad things that bother you. And you can’t eliminate all of them. So, change your focus to become more productive and allow happening bad things. To make thing simple to work less and produce more. Outsource your life. Eliminate the task that has no value or little value. But, sometimes people don’t want to outsource. Because they thought if I can do this work. Why I spend money to hire someone? And the answer is to use your mental energy in something else. Separate yourself from the illusion of 9-5 job. Here goal of new riches is to work less and produce more. To produce double, you have to eliminate distraction. Make a list of distraction and start eliminating one by one. You are doing the dislike thing in the most capable years of life. To make your future reliable after retirement. If I asked you. What would you do after retirement? Might be you don’t have any idea at this time. Here is the aim of new riches was different from ordinary people. They don’t think about retirement after 62 years. Instead, new riches took mini-retirement to balance their life in every aspect. The goal of new riches is to construct their life good in every aspect by continuously adding excitement and thrilling moment in their life. Because excitement belongs to happiness while free time makes you tedious. Money alone is not the solution. Every human being has his/her basic needs. These needs are primarily responsible for happiness. And money alone can’t fulfill these needs. Define the to-do list and not-to-do list. Becoming a member of new riches not about working smart. It is building a system to replace yourself. Parkinson’s law state that creating a deadline to complete your task within 72 hours. Our goal is simple, to create an automated vehicle for generating cash without consuming time. D–E–L–A D for Definition: what you are going to do. E for Elimination: eliminate low-value tasks. L for Liberation: free to work and live by the new riches currency time and mobility. A for Automation: create an automatic cash flow system. The Science of Getting Rich. The Richest Man in Babylon. I am Rahul Ratnakar. I had completed engineering in this year. Sooner I found my passion of reading self-help books. So, I compose this place, to educate others through the knowledge and wisdom of a mentor.